Three years ago, the earth shook in Nepal. 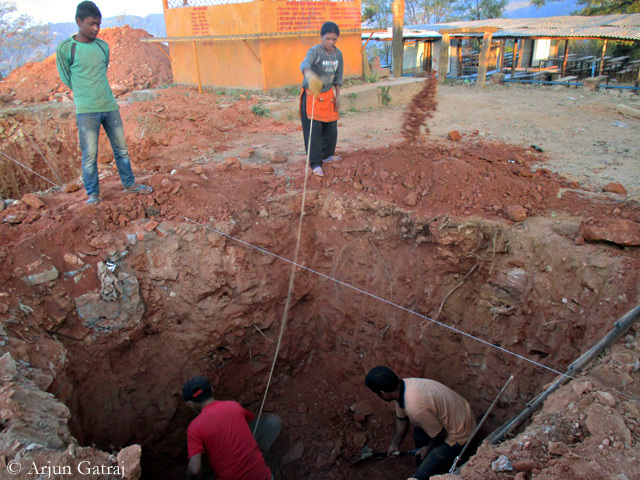 Nearly 8,000 people were killed in the devastating earthquake on 25 April 2015 and the aftershocks in the following weeks. Even today, numerous traces of the earthquake can still be found in the capital Kathmandu, and the rural areas, which were particularly hard hit. But a lot has happened. For example in Thulosirubari. Thanks to your donations for our aid project “School up!”, last March – as reported – the first two buildings of the new school with a total of twelve classrooms could be inaugurated in the small mountain village, located about 70 kilometers east of the capital. 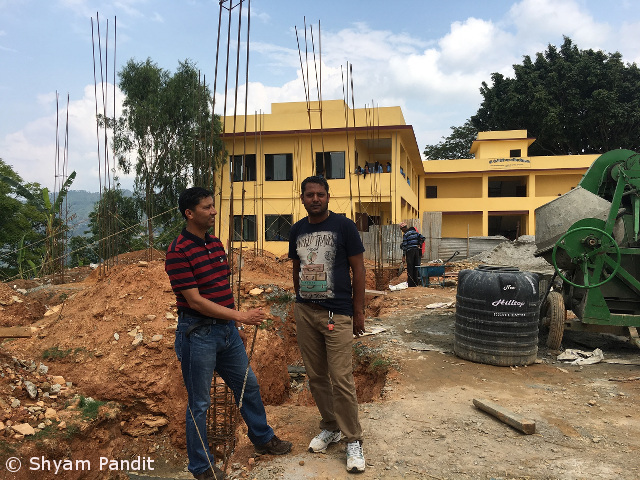 On this occasion, German climber Ralf Dujmovits and I also laid the foundation for the next phase of construction. 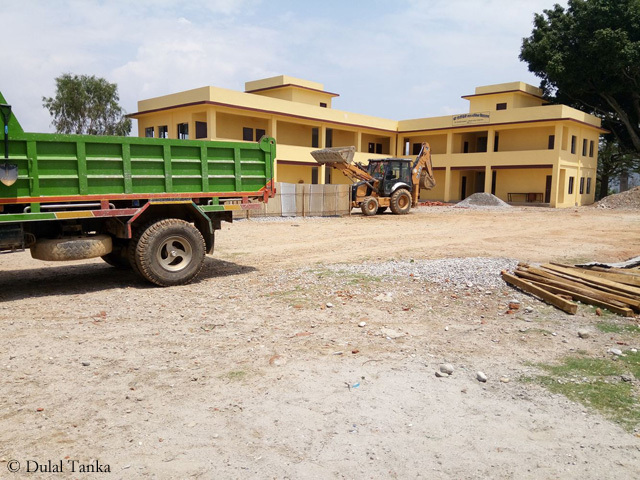 As you can see in the picture, sent to me by Dulal Tanka from Thulosirubari, the construction of the third building with eight more classrooms is now beginning. The weather currently makes life tough not only for the mountaineers in the Karakoram. 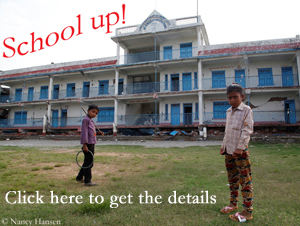 Also in Nepal it thwarts many time schedules. 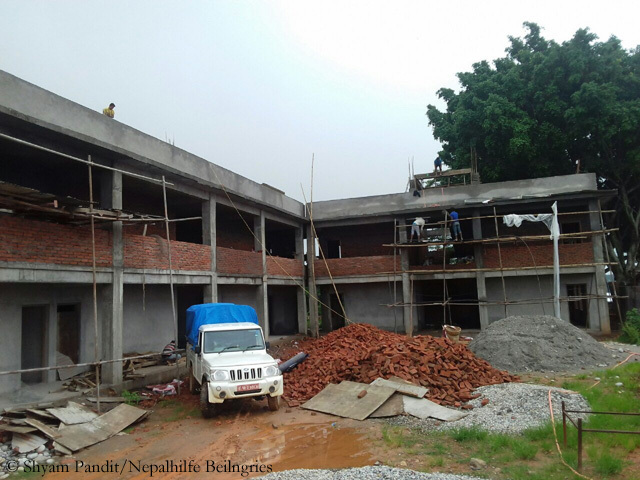 The work on the new school in Thulosirubari has now been slower because of the monsoon, writes me Shyam Pandit, Nepalese liaison man of the “Nepalhilfe Beilngries”. 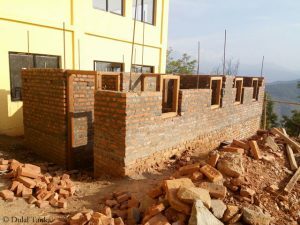 The German aid organization coordinates the construction of the new school building, which became possible through your donations for “School up!”. 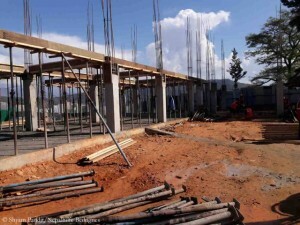 Along with the well-known climbers Gerlinde Kaltenbrunner and Ralf Dujmovits, I had launched the donation campaign two years ago to rebuild the village school of Thulosirubari, about 70 kilometers east of the capital Kathmandu, as quickly as possible. The school had been so badly damaged by the devastating earthquake in Nepal on 25 April 2015 that it had had to be demolished. Since fall 2016 the construction work is in progress. 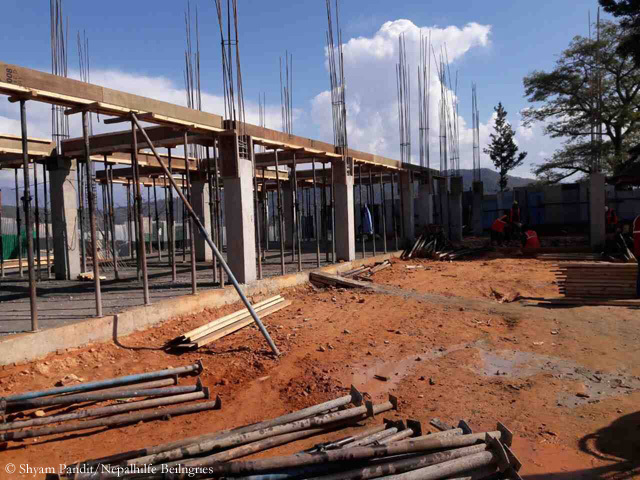 Actually, the first construction phase should have been completed before the rainy season.